Within the next 5-10 years, over 50% of the current water industry workforce is set to retire. The Water Resources Management degree program is designed to prepare students for employment by municipal drinking water and wastewater treatment departments or industrial treatment facilities. Careers in water/wastewater technology generally involve the administration, operation and maintenance of both drinking water and wastewater treatment facilities as well as distribution and collection systems. Gavilan's Water Resources Management Program provides educational courses that prepare students for careers in Water Resources Management. 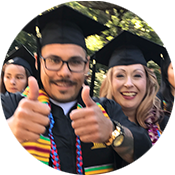 Courses prepare students for certification examinations administered by the State of California as well as those administered by professional associations within the water and wastewater industry. Current instructors are experienced water and wastewater professionals, expert and up-to-date in best-of-breed industry practices. Classes are built around practical examples of real-world scenarios, demonstrations, and field trips whenever possible to maximize understanding of subject matter. Internships are available, too, through Cooperative Work Experience. Learn about exciting, rewarding and well-paying careers in the water industry. Find out how to get into the industry, what kinds of jobs are available, how to advance and where to get hired. Find out what employers are looking for, how to get in the door and what to expect from a career. Bonus! 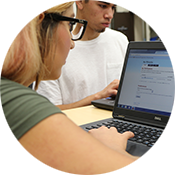 Learn about Gavilan College's brand new credit courses that can lead to a degree or certificate.